Approved by the International Table Tennis Federation and English Table Tennis Association, the Stiga 3 Star Perform plastic table tennis balls offer professional quality roundness, weight and stability. These competition balls ensure unparalleled consistency and a true bounce and have a diameter of 40mm (1.6”). 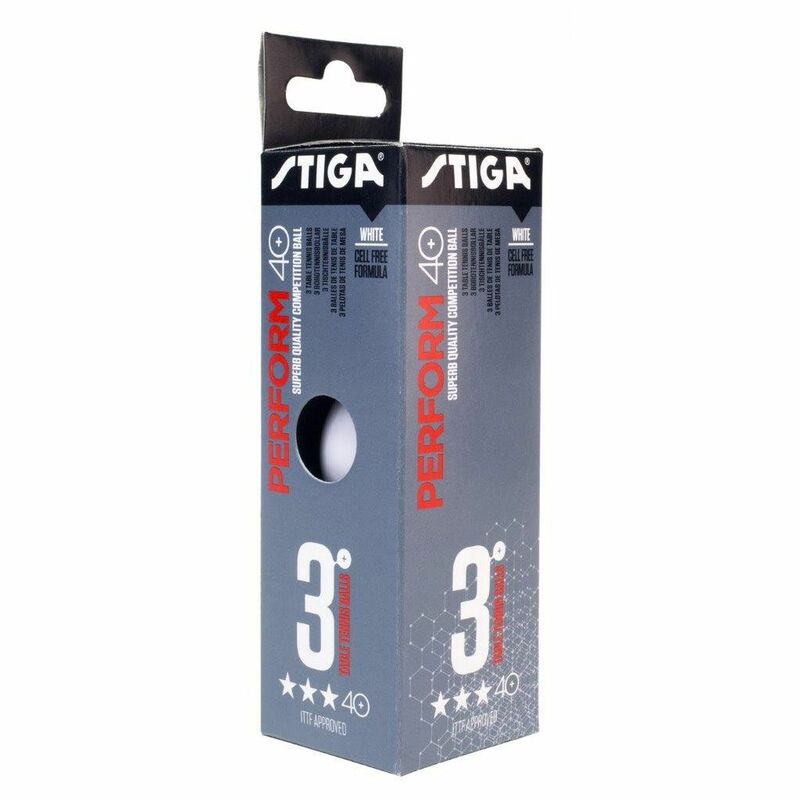 Thanks to no soft spots, the balls guarantee excellent playing performance and come in a pack of 3.
for submitting product information about Stiga 3 Star Perform Plastic Table Tennis Balls - Pack of 3 We aim to answer all questions within 2-3 days. for submitting product information about Stiga 3 Star Perform Plastic Table Tennis Balls - Pack of 3. We aim to answer all questions within 2-3 days. If you provided your name and email address, we will email you as soon as the answer is published. for submitting product review about Stiga 3 Star Perform Plastic Table Tennis Balls - Pack of 3.